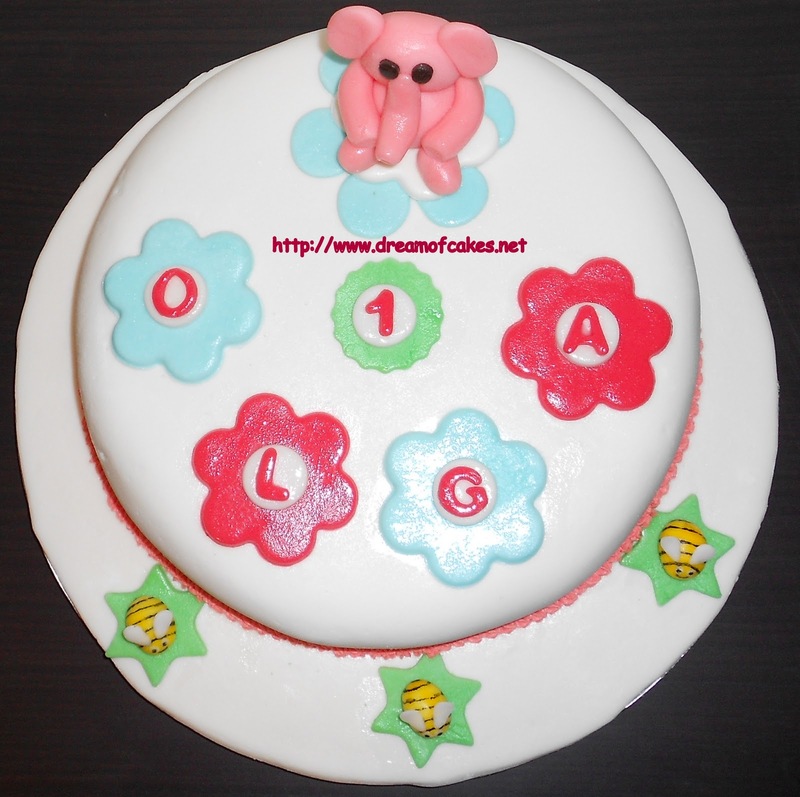 This Birthday Cake was made today for a little girl called Olga who is going to celebrate her 1st birthday tomorrow! 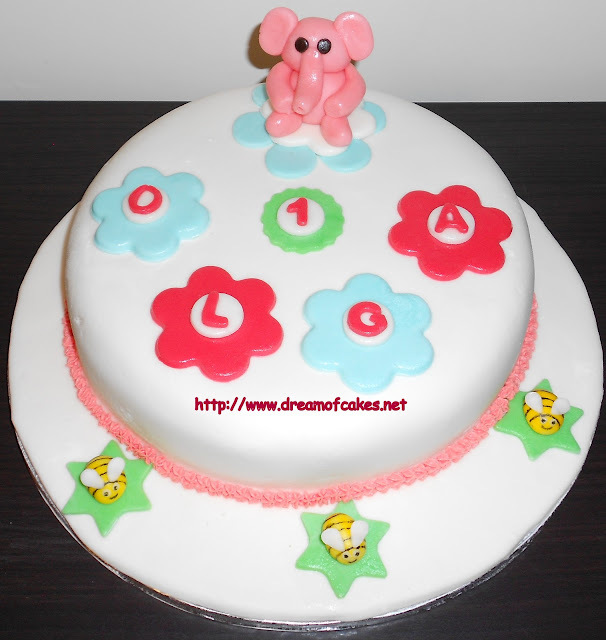 Her aunty wanted something cute and colorful for Olga, so I decided to make Nellie the Elephant from Pocoyo Cartoons. These little bees where made with fondant. I painted the black stripes with edible black colour. The cake was made with cocoa, biscuits, confectioners sugar, eggs, vanilla, butter and milk. AW! Elephants are one of my favorite animals. (if only they were pink in the wild... ;] ). Great job on the cake! Aww, this is so cute! I want one! This is just adorable! I love elephants! This is so cute, love the creative way you did Olga's name. Also, your slide show is a great addition to your blog. So of the items I have never seen. How beautiful! 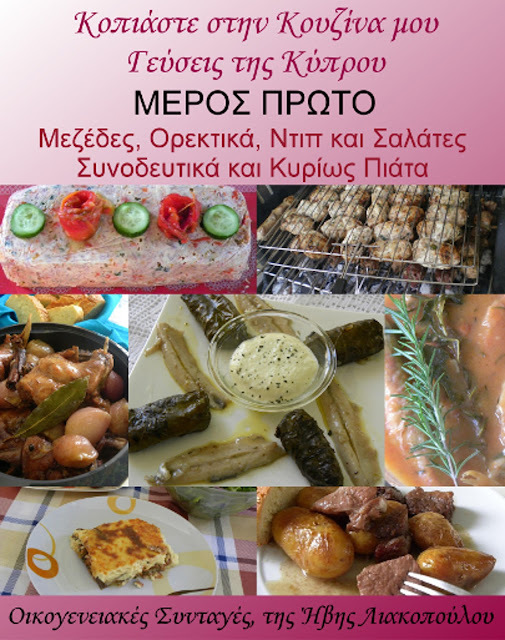 You did it again Eftychia! 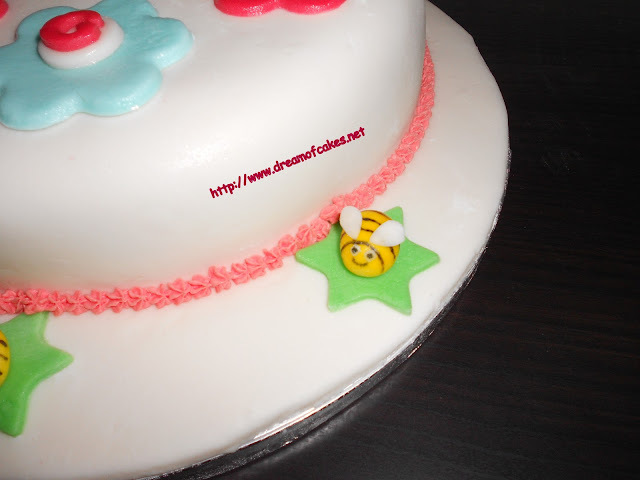 My daughter would have loved the bees on her second birthday cake. She had a bee/butterfly theme. So cute Eftychia! How adorable is this :) , I bet olga must have loved this . 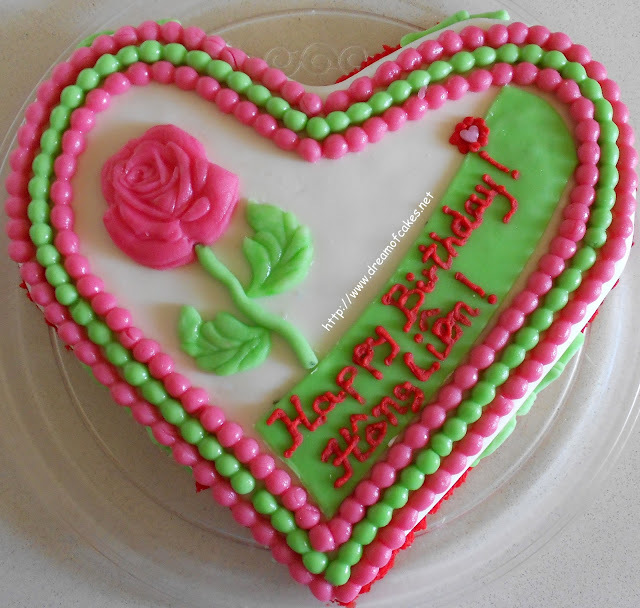 Good job Efty :D .
What an adorable cake! 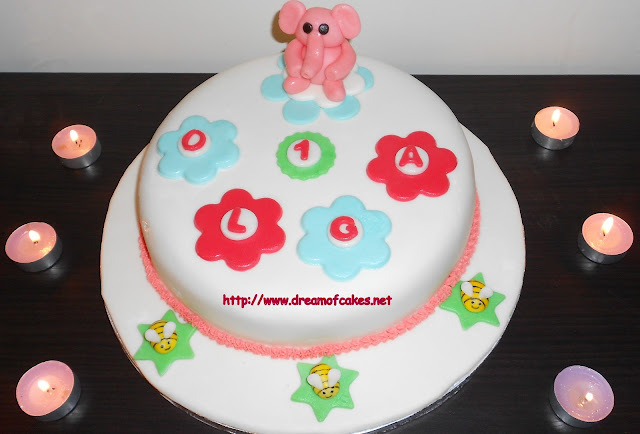 This looks great and super cute for someones first birthday. It's so memorable! :) Lovely job! What a sweet cake for a first birthday! Aw.. what a lovely cake! Perfect for a first birthday...so talented! This is a very cute cake, love those little bees. Gee I almost wrote exactly what Baker Street wrote. Haha - great minds think alike! 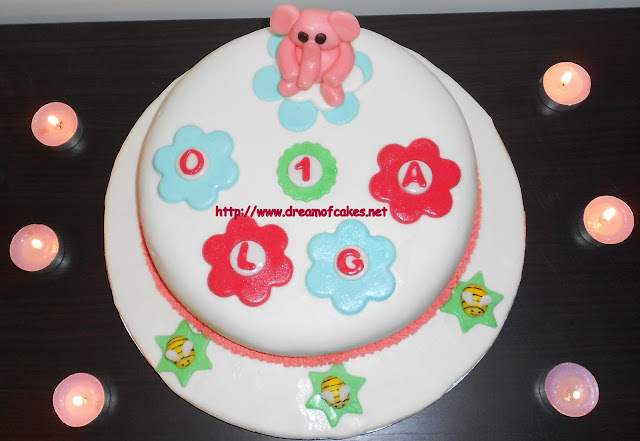 Such a cute cake and I'm sure Olga loved it! Aways such talent when I come here. Your cakes look so smooth & clean! Absolutely adorable for Olga's 1st birthday! I love the little bees!! Oh, that's so cute! Looks gorgeous and so professional. Great work, dear! 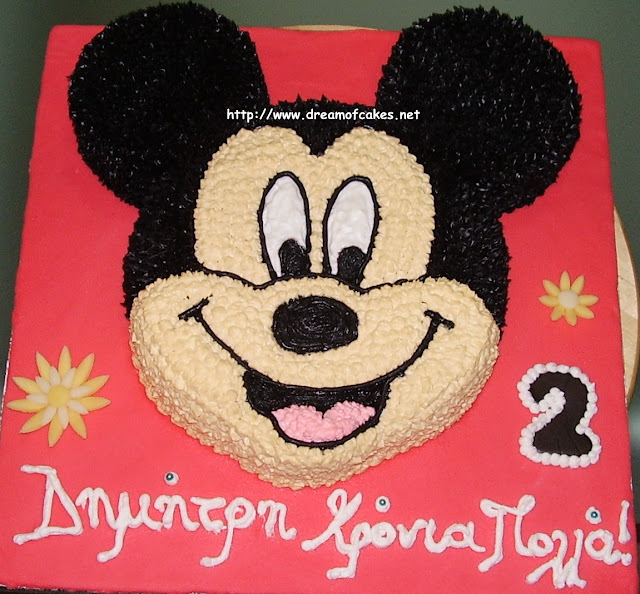 Eftychia, This cake is absolutely adorable and I'd bet that if Olga had the words to express the joy she must have felt, she'd tell you so! Job well done. Beautiful cake. Olga and her god mother thank you so much for the excellent cake and the perfect decoration !!! Thanks to Olga and to her Godmother! !